A front view of the butcher's shop Metzgerei & Wursterei Peter Dirr (Butchery & Sausagery Peter Dirr). (Marcus Dirr is featured in the book What I Eat: Around the World in 80 Diets.) 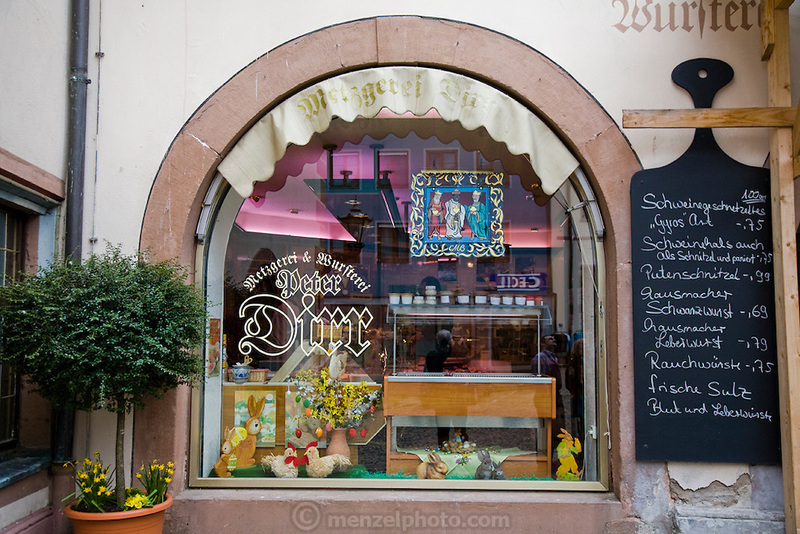 The shop owned by master butcher Marcus Dirr in Endingen, near Freiburg im Breisgau, Germany. The Dirrs know the farmers who supply their animals, and in fact hand choose the animals and watch them grow.